Hunger can strike at any time during a busy day, and oftentimes when you least expect it. Maybe you skipped lunch because of back-to-back meetings or you forgot to pack a snack before a long day out and about. 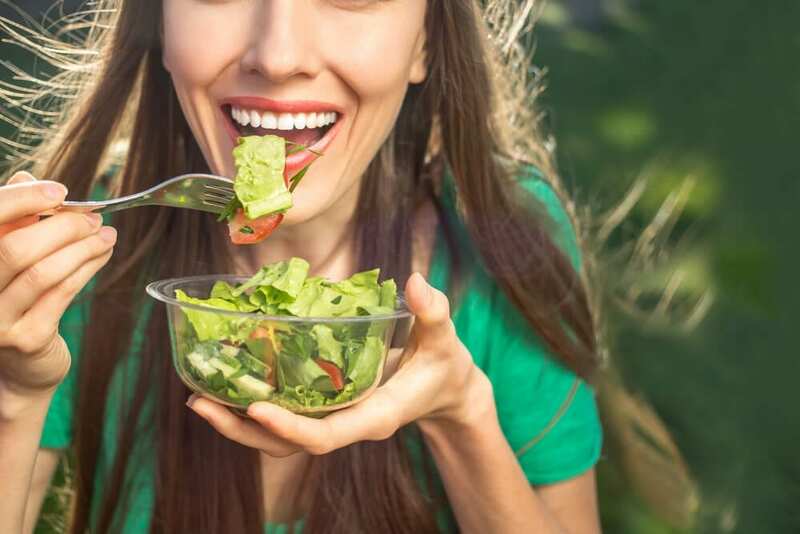 While you may want to eat a pizza, hamburger or even both during one of these surprise bouts of hunger, a healthy filling snack is key to keeping energized and fueled for the rest of your day. Healthy filling snacks swoop in to save the day when you have a long flight, a late dinner, a marathon meeting without refreshments, and any other scenario where you find yourself practically starving, and your next meal is nowhere in sight. 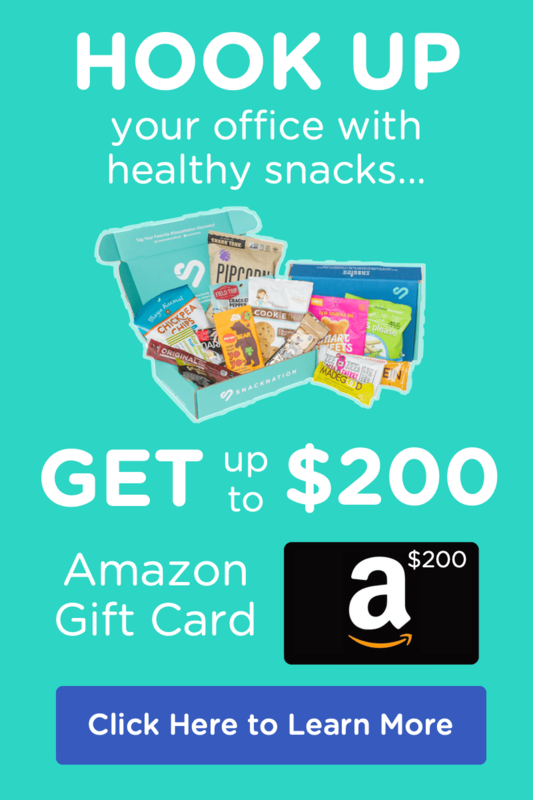 By keeping your stomach packed with lots of good food, in the form of healthy filling snacks, you have the fuel to stay focused and alert instead of experiencing a hazy sugar crash. Plus, this clean energy will let your body know you’re full and satisfied, while less healthier snacks will leave you craving even more. Water can take up a lot of space in the stomach for something with absolutely no calories. Try snacks with high water content to get full on few calories. Since “water” makes up half of this fruit’s name, it should come as no surprise that it has a high water content. Slice a watermelon into big rounds. Top the rounds with feta cheese, onions, basil, and balsamic vinegar. Now slice the rounds into triangles like you would any other pizza. This snack is a bit salty, and that savory flavor will help trick your stomach. 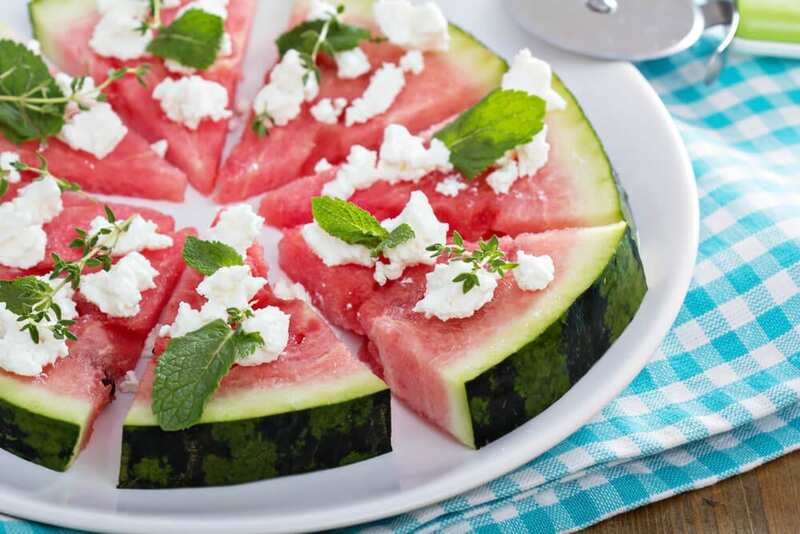 As you fill up with all the juicy watermelon, your stomach might just believe it’s getting real pizza. Juicy sweet strawberries have plenty of water to keep you full. When they’re paired with rice to make this snack, they become even more filling. The high water content in cucumbers makes them super refreshing and also super filling. When you stack cucumber slices on whole-wheat bread to make mini tea sandwiches, you’ve got a healthy filling snack fit for a quick afternoon nibble or even a fancy tea party. Hydrating oranges taste surprisingly delicious when wedged into a radicchio leaf and topped with diced green olives and a slice of avocado. Juicy pineapple rings become a filling snack when they’re dipped in low-fat yogurt and frozen. To make this treat, cover a cookie sheet—one that fits in your freezer—with parchment paper. Dip the rings into yogurt and then place them on the parchment paper. Pop the rings into the freezer and wait until they’re easy to pick up for healthy snacking. Fiber prolongs feelings of satiety. Full and satisfied, we stay invigorated hours after eating because fiber helps slow the body’s absorption of fat and carbohydrates, leading to long-term feelings of satiety and energy. Artichoke hearts taste rich, almost buttery, and they’re full of good-for-you stuff, including protein, magnesium, and vitamin C. One artichoke heart will also provide 7 grams, or 28% of your recommended daily value, of dietary fiber. 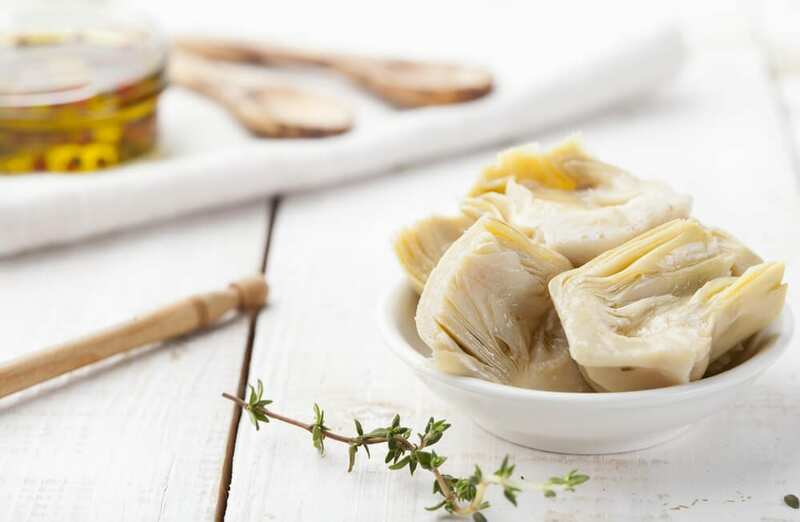 To marinate your own morsels, just grab a handy container of artichoke hearts and put them in a jar with oil, vinegar, and a variety of seasonings. A classic combination includes salt, pepper, garlic, oregano, and pepper, but feel free to get creative and choose your own seasonings. Fiber-packed strawberries get even more filling when you stuff them with a tiny squeeze of yogurt and a meaty green pistachio. Be careful as you assemble this snack; delicate raspberries tear easily. When you’re done stuffing each berry, you can pop the whole batch in the freezer to firm up the delicate treats and make them last a little longer. No list of filling snacks would be complete without oatmeal. Oatmeal contains tons of soluble fiber, and it’s water absorbent, which helps you feel even fuller. This creative way to enjoy oatmeal might make you wonder how you could ever just eat it from a boring old bowl. These truffles come together quickly, and they don’t even require any baking. Wholesome popcorn has tons of fiber naturally. Protes adds protein to the mix to make popcorn more filling than ever. This high-protein, high-fiber snack will keep you going for hours. Versatile oatmeal doesn’t just roll up into a delicious truffle; it also makes a tasty cookie. This above-average cookie fills you with fiber from oatmeal and fruity goodness. Protein and fiber team up again in the savvy snacker’s favorite ingredient: chickpeas. Lean chickpeas never fail to fill our stomachs, and they gracefully take on a range of flavors. This sweet, cereal-inspired version of roasted chickpeas takes the legume’s flavor possibilities up to a new level. We’re guessing the protein principle applies to men as well! Control your appetite with snacks that offer a healthy dose of lean protein. Get started with the ideas below. Leaner and faster to prepare than deviled eggs, this jazzed up egg snack has satisfying protein and flavor. 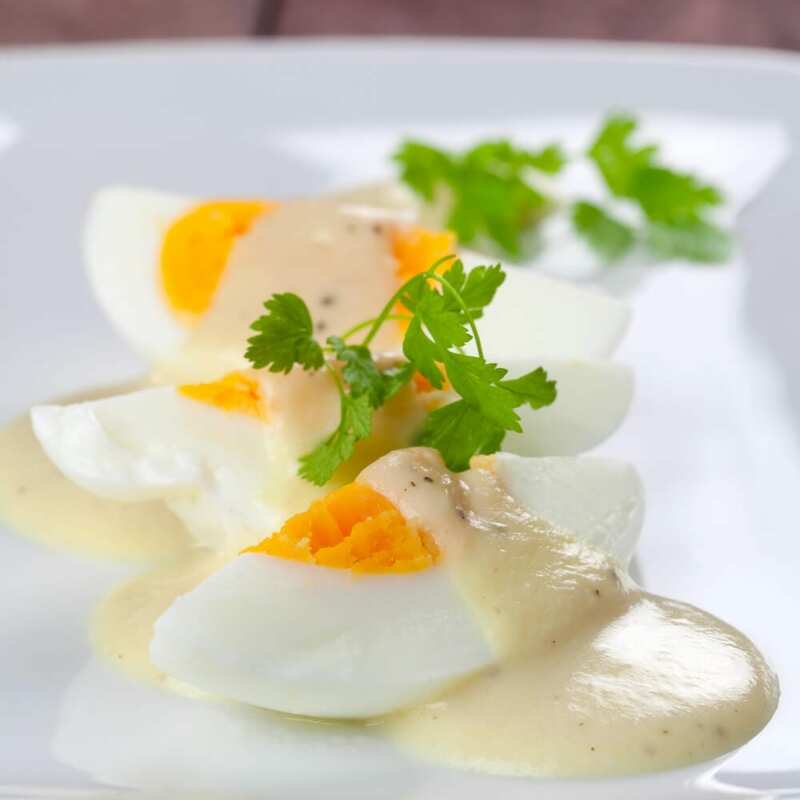 We love the versatility of the classic hard-boiled egg, and it truly satisfies our most stubborn hunger pangs time and time again. Super-lean tuna appears in many classic high-protein snacks. This recipe incorporates a lightened-up version of tuna salad dolloped onto adorable boats made of wholesome roasted zucchini. Peanuts and pumpkin seeds give this bar an infusion of plant-based protein that will keep you energized. Dates provide a sweet package to carry all that high-protein goodness, and a dusting of pink himalayan sea salt adds a nuanced flavor you can’t find in just any protein bar. These dreamy treats have protein from almonds, pistachios, and millet. A not-too-sweet blend of cardamom, vanilla, maple, and lemon gives these cookies an absolutely unforgettable flavor profile. This gluten-free bar gets lean protein from all the sweet and salty peanuts packed into each bite. Forget sweet parfaits and try savory versions with tons of protein and nutrients. Just mix together Greek yogurt, cooked lentils, finely chopped kale, and some briny black olives. Grab a nitrate-free, low-sodium slice of packaged turkey breast and wrap it around a sweet slice of mango to make a protein-rich snack with refreshing flavor. Add flavor to the snack by adding hot sauce, teriyaki sauce, mustard, and more. Mix some robust Greek yogurt with hemp hearts and antioxidant-rich pomegranate seeds to create a powerhouse protein bowl that fills up your stomach and tastes as indulgent as an ice-cream sundae. You might be wondering how flavor can be filling. Don’t worry; we’ve got your answer. 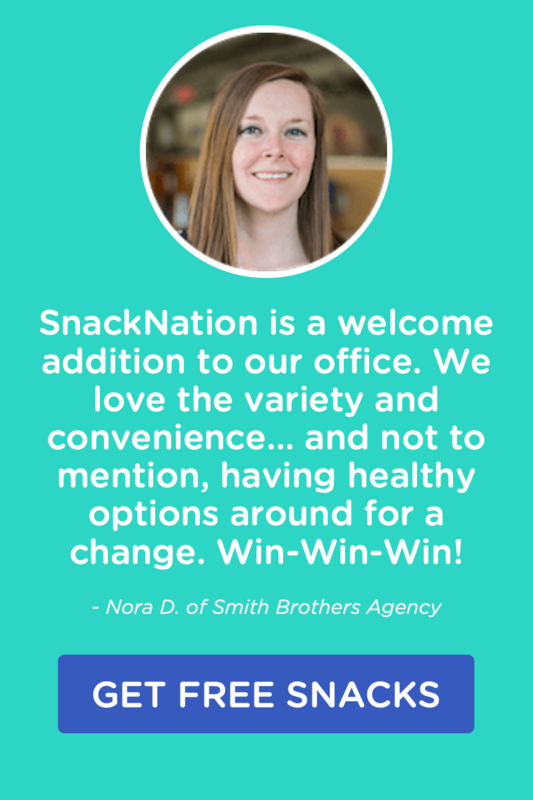 So thanks to the magic of perception, we can fill our bellies by choosing bold flavor profiles in our healthy filling snacks. Few flavors rival the bold, satisfying combinations that create barbeque. This stick expertly captures sweet, smoky flavors that usually require hours spent slaving over a grill. Herbal matcha and bitter espresso each present bold flavors on their own. When you enjoy them together in this surprising bar, you get one amazingly nuanced dose of flavor that’s comforting and emboldening at the same time. As you probably know, almonds have lots of protein, so they’ve already got one essential healthy filling snack feature crossed off the list. 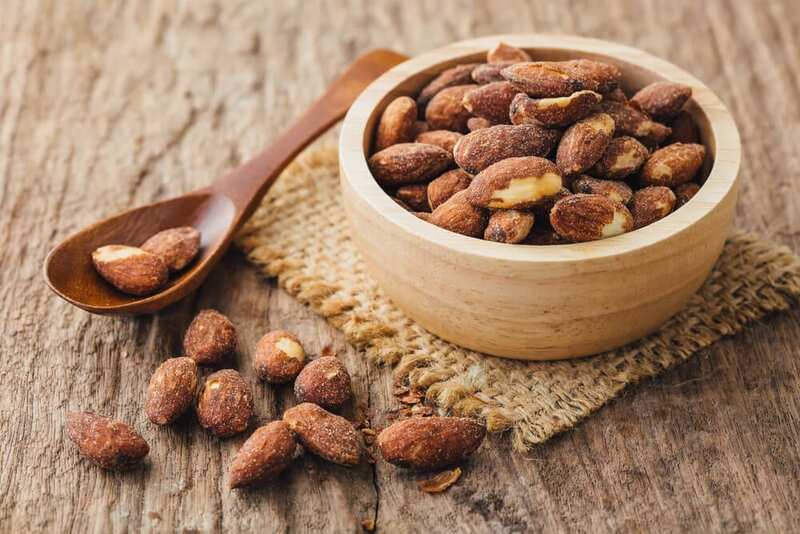 By adding giant punches of flavor to already satisfying almonds, you basically create a super-snack you can count on any time and any place. These recipes feature tamari, Indian spice, and sweet spice, but really, there’s virtually no limit to the flavors you can add to the versatile almond. Trendy sriracha elevates the already-bold flavors of a classic deviled egg. A snack with this much protein and this much flavor deserves a spot on your list of favorite healthy filling snacks. Savory salt and bitter vinegar make a finger-licking combination snackers enjoy on everything from potatoes to chickpeas. The two flavorings turn mild edamame into a snack with eye-popping flavor. You’ll want to make these crispy treats again and again, and we promise you’ll never look at greasy salt and vinegar potato chips the same way again. Dried cherries usually come along with tons of sugar. Find an unsweetened option to get a mouthful of craveable tartness that beats the flavor of any sour gummies you used to eat. 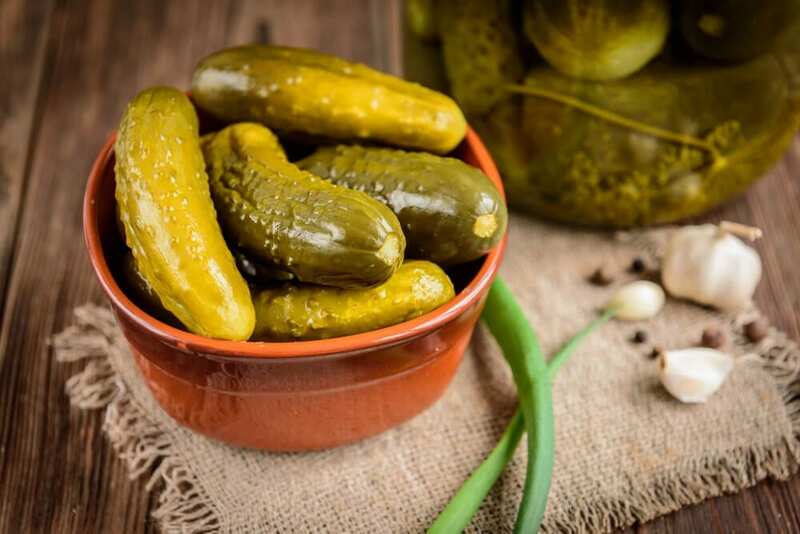 Consider pickles magical low-calorie packages of flavor. If you want to capture the flavors of an even more robust meal, try layering a pickle spear on a piece of your favorite healthy jerky. Olives make a flavorful and filling snack on their own, but you can get even more fullness from your favorite briny treat with a little creative stuffing. Try adding slivered almonds and fresh herbs to some creamy goat cheese. Stuff this into olives of any color to get going on some bold snacking. Mild yogurt can take on a range of bold flavors and still taste delicious. Try getting creative with your stir-ins to make some flavor combinations that knock your taste buds’ socks off. Stir together some high-quality canned chicken, pineapple chunks, cubed avocado, cilantro, and curry powder to make a healthy chicken salad with bold flavors. Eat the mixture straight off the spoon or dollop it onto fresh, thinly sliced eggplant. Have you tried any snacks that are surprisingly filling? 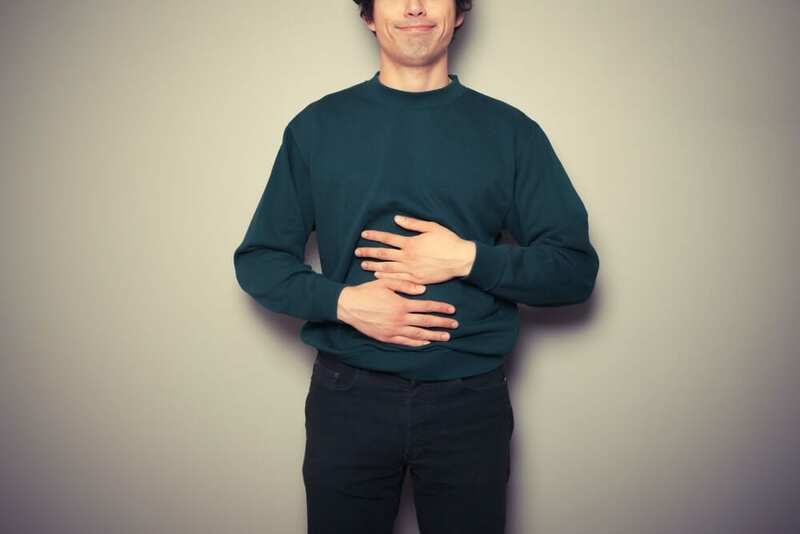 Let us know what healthy things keep your stomach full!